Digital Storytelling in Math? Yes Please! 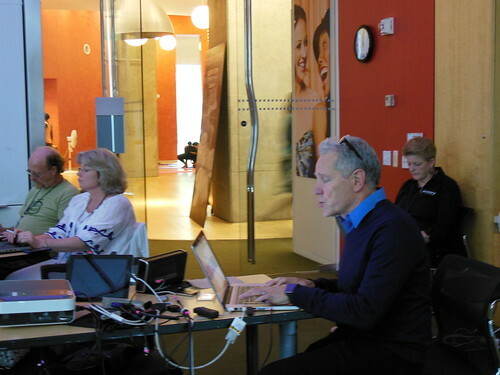 At last week’s STEM Institute, Hall Davidson from Discovery Education facilitated two outstanding sessions on digital storytelling and apps for education, “Putting the STEAM in STEM”. How can we encourage students in the sciences to tell a story? Hall offers that storytelling in the sciences should follow a similar structure to all great stories: Setup – Conflict – Challenge – Climax – Resolution. Here are some tools which will help you and your students tell your own story. PHOTO STORY (for Windows): This is a free program, which allows users to submit and organize photos, include text, transitions and stock music, and record voice over slides. The interface is user-friendly, and steps you through all of your options for building your own story. The example below was made by me to provide context to a quadratics unit. Think about how your students could fly with this tool and bring personal context to math concepts….I’m sure they’ll come up with better examples than I did! 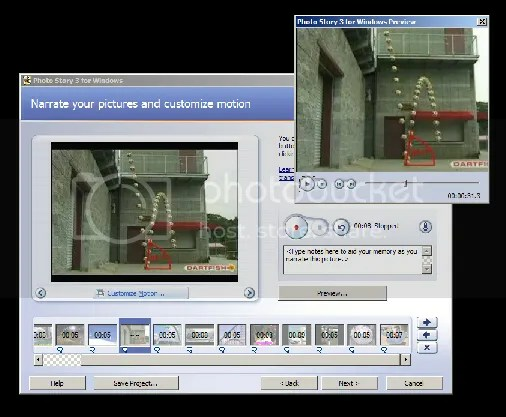 MOVIE MAKER (Windows Live) – also free, allows for editing and storyboarding of pictures and videos. If you are a member, Discovery Education provides thousands of great clips you can use and integrate into your own lessons. PHOTOPEACH – I have mentioned Photopeach on the blog before, but I’ll suggest it again as a great tool for Formative Assessment. Simply collect and add pictures, and use the quiz feature to create short and snappy reviews. For a geometry class, have students create their own vocabulary slide shows and share as reviews leading up to the test. ACTION MOVIE – This free app is available through iTunes. Choose the movie effect you’d like, record some video, and get your popcorn ready? How about this is an opener for your algebra class? Next time, I’ll show off some cool apps for Ipads and Iphones, including green-screen and more storytelling tools.